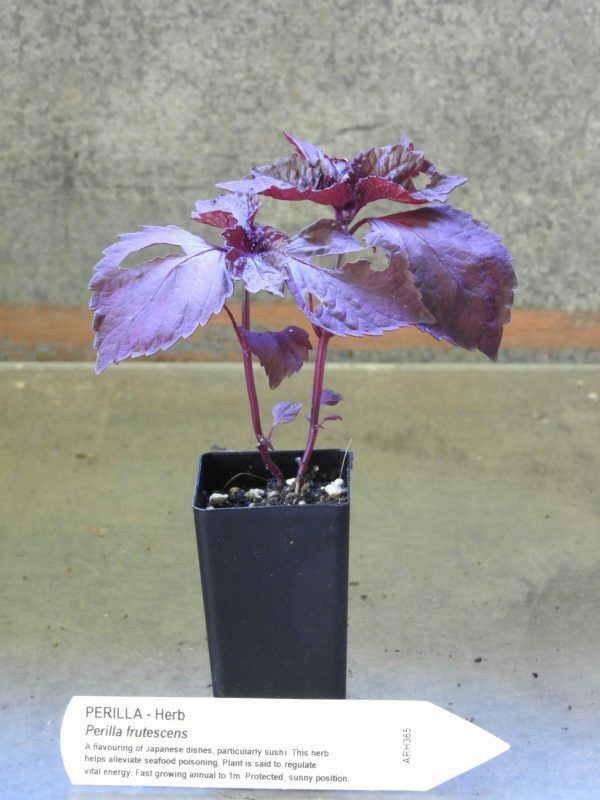 Perilla plant, Perilla frutescens, is also know as Japanese Basil and Red Shiso. Aromatic purple leaf is used as flavouring for fish, tofu, tempura and pickles. The seeds are a source of edible oil. A folk remedy to aid the diaphragm, clear the intestines and regulate vital energy. An anti-oxidant. Will grow well in a container. Perilla plant is native to south east Asia and prefers moist well drained soils in a sunny or semi-shaded position. Drought and frost tender. An annual plant that readily self seeds. Be the first to review “Perilla, (purple) plant” Click here to cancel reply.